Located on Okanagan Lake, Kelowna is a thriving city with a population of over 117,000. It consists of many diverse neighbourhood. Kelowna has numerous popular attractions such as for example the Knox Mountain Hillclimb, Waterfront Park, Kelowna Community Theatre (which has over 1,000 seats) and the SOPA Gallery of Fine Arts. 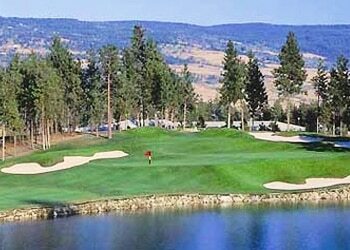 Not to mention the many great golf courses in the area. If you are currently seeking to purchase a home in the Kelowna, BC area and are looking for the best Kelowna mortgage rates ResCom is more than happy to assist you. Whether you’re buying your first home, looking for a second home or need to take out equity on an existing property give us a call at 855-585-2080 and experience the difference! Regardless of your credit rating our team of experts here at ResCom are dedicated to helping you by providing solutions for all of your mortgage needs no matter your current circumstances or what those needs may be. We’re also actively seeking mortgage agents in the Kelowna area to join our mortgage company. Check out our mortgage careers section to learn more. If you’re interested in joining an enthusiastic, rewarding and growing team, we’d love to hear from you! Our team believes that everyone deserves the best customer care experience when purchasing or refinancing the home of their dreams. ResCom is here to serve your mortgage needs, and we have what it takes for you to “Experience the Difference” with your next mortgage transaction. We offer a broad range of mortgage products and services to ensure you receive a mortgage solution tailored to your needs.